San Diego Comic-Con is always a mad rush of activity for both the panelists and attendees, with the studios, networks, and publishers trying to up the ante every year. 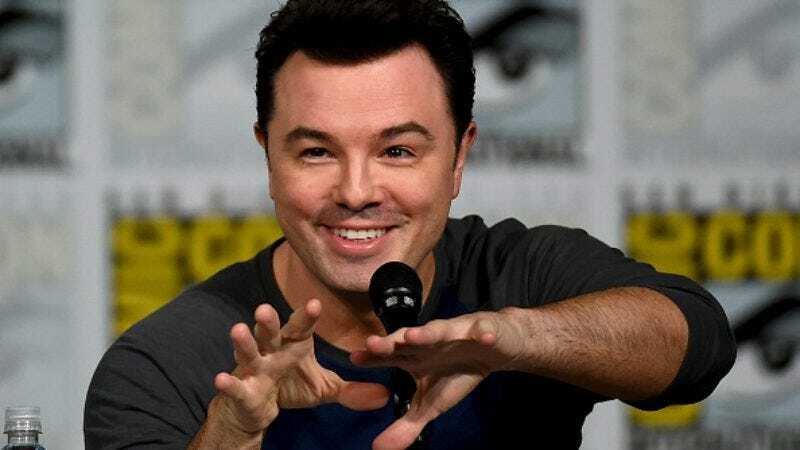 For example, Seth MacFarlane’s sci-fi dramedy, The Orville, is offering guests the chance to enter the Orville Space Training Station, where they’ll presumably learn what it takes to be a part of his crew. That sounds fairly cool, especially if it means whipping around in a Gimbal Rig. But if you’re looking for a lasting experience, Deadline reports you can enter for a chance to win a membership to a cryopreservation—“cryo-preso” for those in the know (we think)—program. The contest is open to everyone starting July 20, when they can apply in person or online. The site’s still cooling its jets, so you’ll have to wait until tomorrow to try to win a chance to ensure your immortality. The Orville is part of Fox’s fall Thursday lineup, but will debut on September 10 (the better to get a little NFL boost). It moves into its regular Thursdays at 9 p.m. ET time slot on September 28.